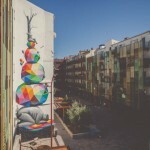 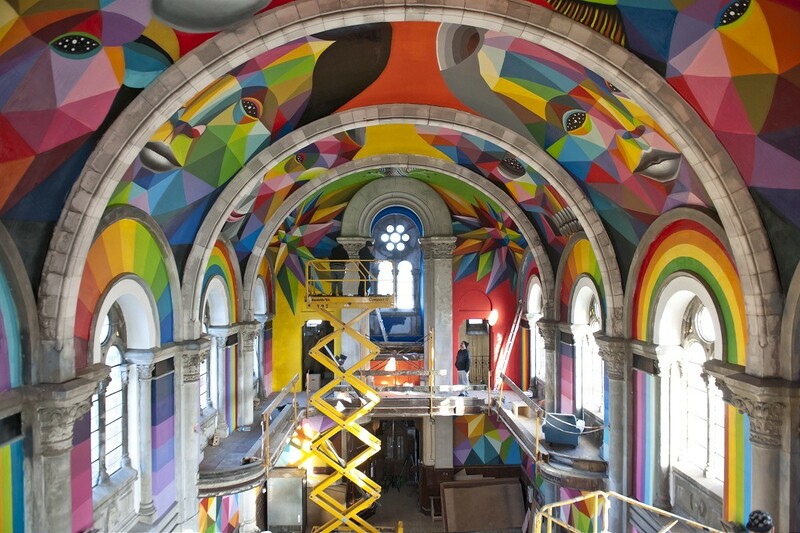 After months of planning and a successful self initiated fundraising campaign, Okuda San Miguel spent the last few weeks working on his biggest and most unique project to date. 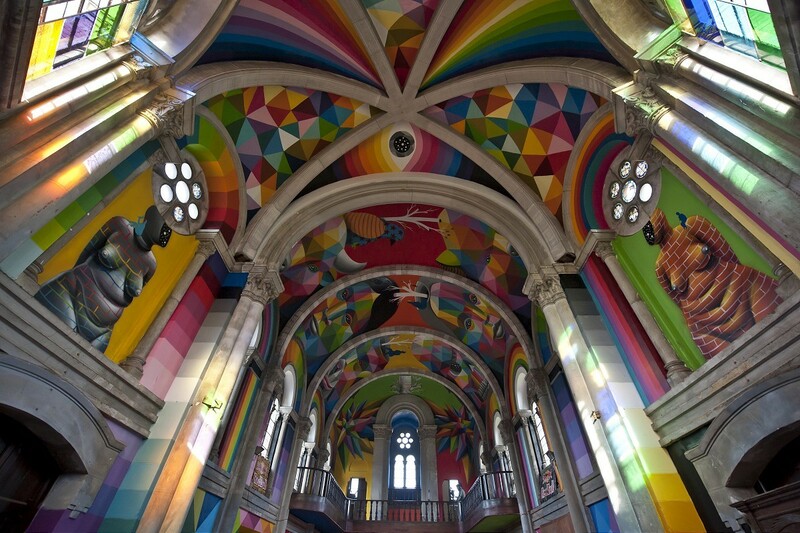 Painting the inside of an abandoned church from 19th century in Llanera, Asturias, Spanish artist recently wrapped up project Kaos Temple. 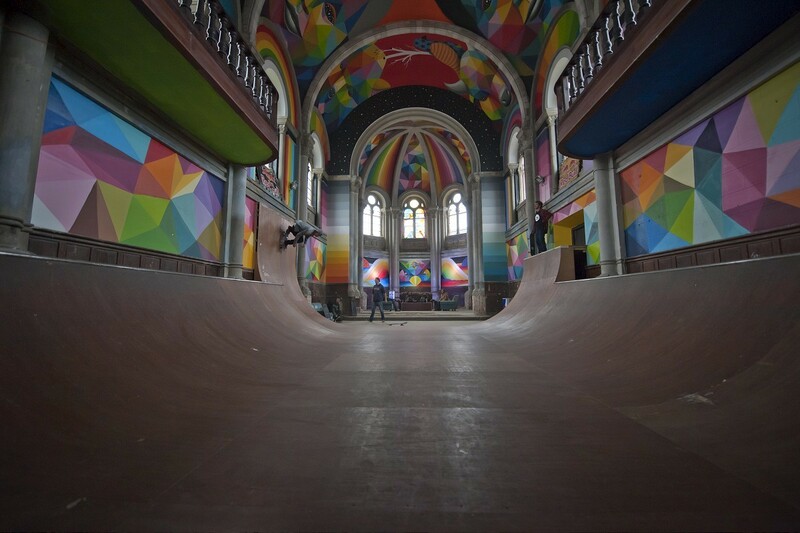 Skate Church was created three years ago when an abandoned church was re purposed as an indoor skatepark. 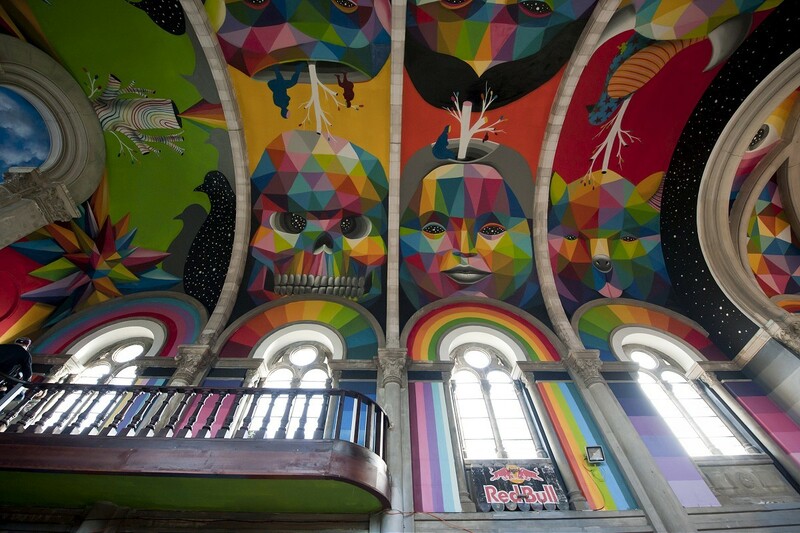 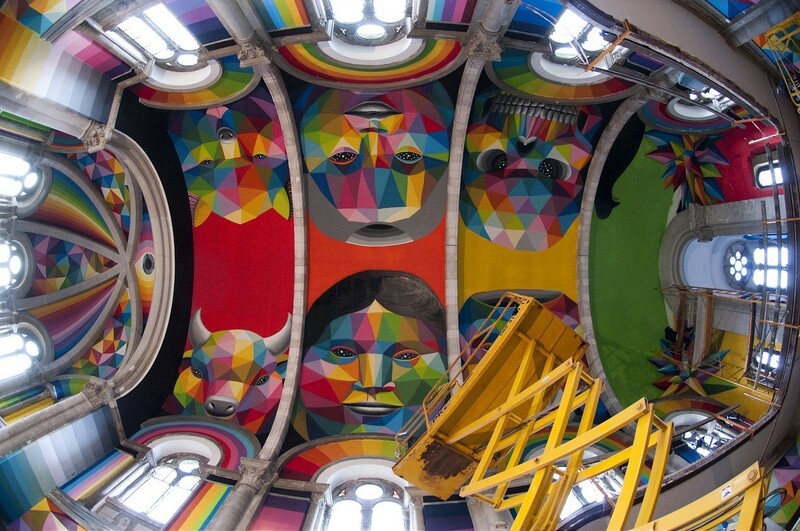 Ever since first visiting the Skate Church about one year ago, Okuda had a vision of painting its walls, arches and windows with his colorful patterns and symbols. 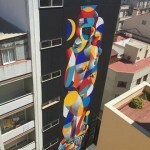 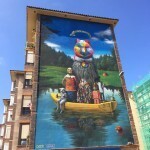 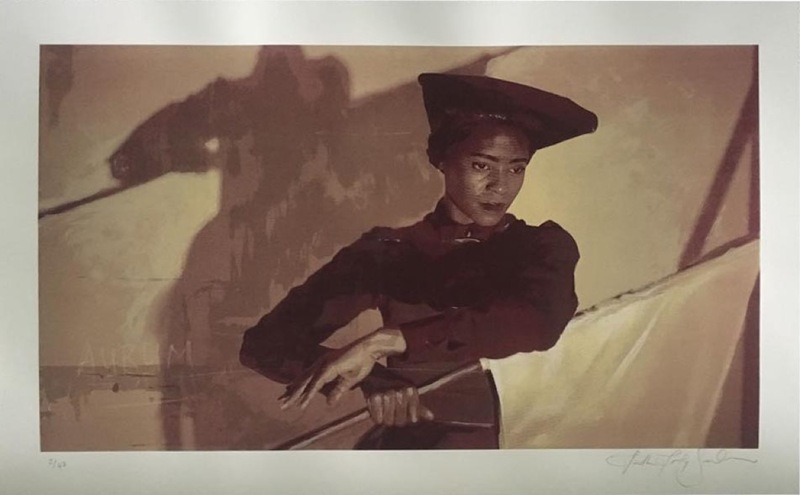 In order to complete whats been his most elaborate and demanding project to date, the artist started a fundraising campaign that funded all the paint and tools needed to complete the work. 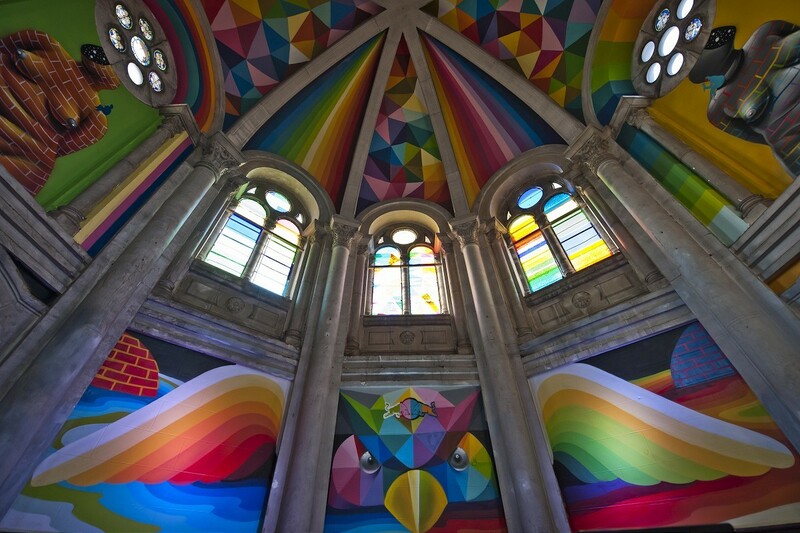 Aside from creating one of the most impressive pieces we’ve seen from him, Okuda helped creating one of the most unique and exceptional skateparks in the world. 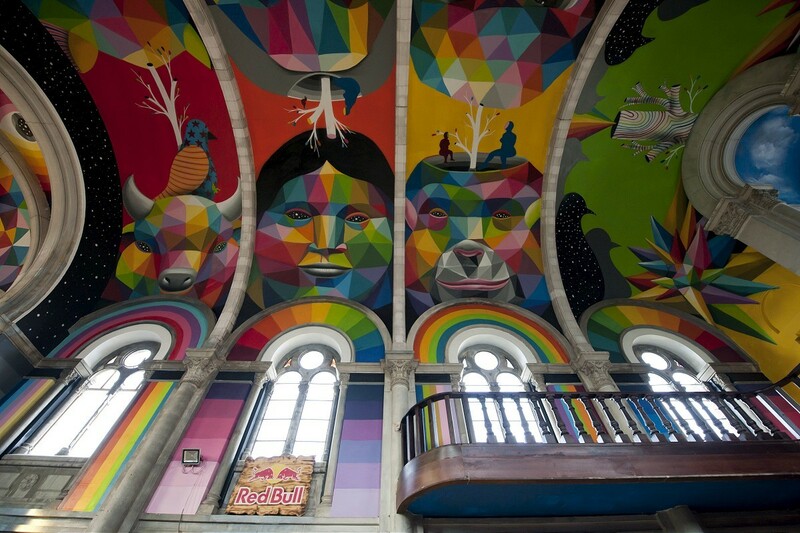 With numerous characters on the ceiling and the walls, rainbows around the windows and geo based patterns connecting them all, the mixture of his visual language along with traditional architecture is simply mind blowing. 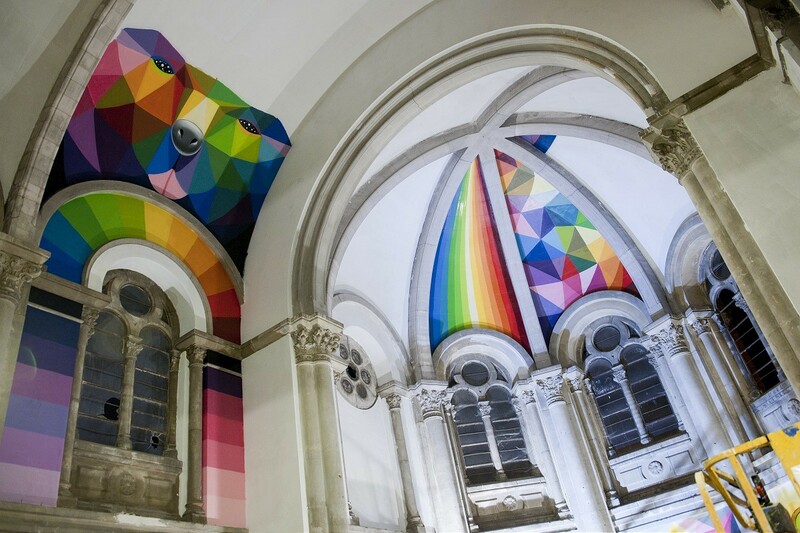 Along with beautifying the interior of the church, his iconic asymmetric wind rose, Kaos Star, became a symbol of a new reinterpretation of the church as a meeting place and eventually inspired the name of the project – Kaos Temple. 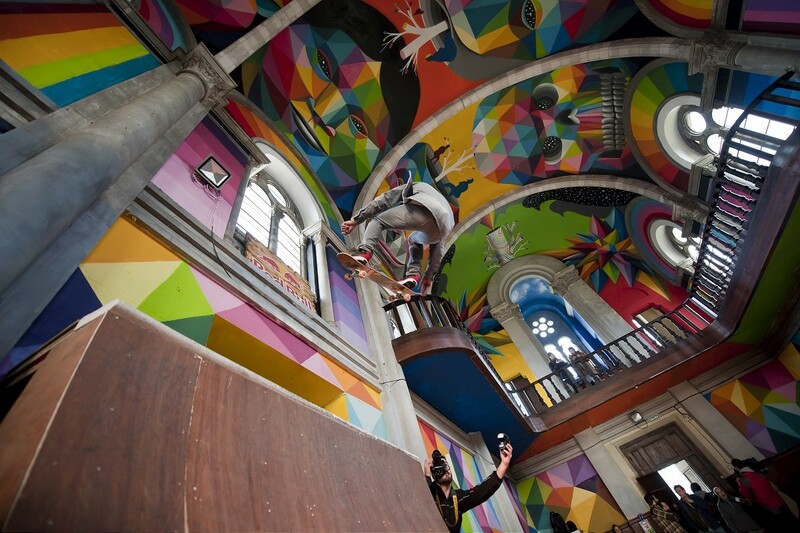 Check out more process and detail photos by Elchino Pomares after the jump and if you’re in the area, get in touch with LaIglesiaSkate.com in order to visit and maybe even skate this incredible spot! 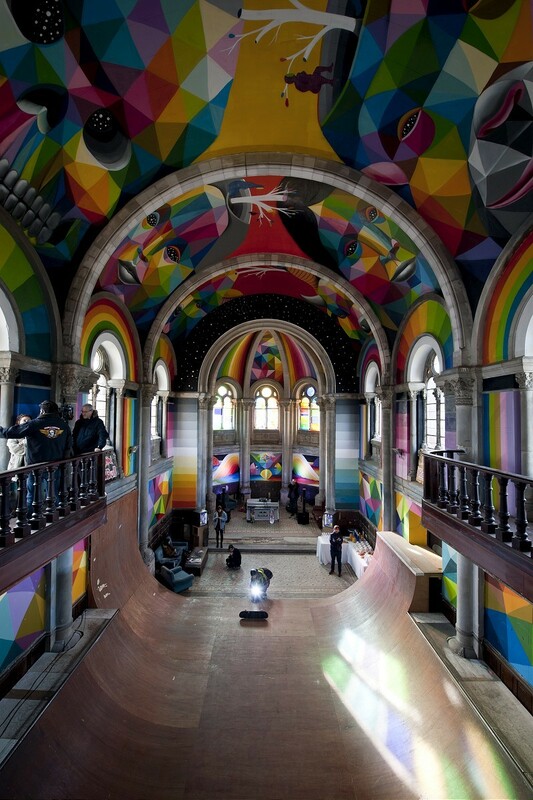 Growing up skateboarding I always enjoyed board graphics, Toy Machine adds and art section in Thrasher magazine. 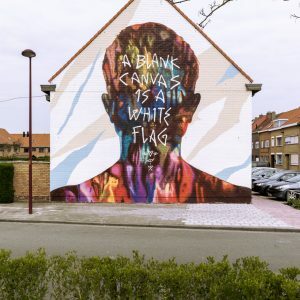 Around that time I started flirting with graffiti which eventually lead to appreciating street and urban art. 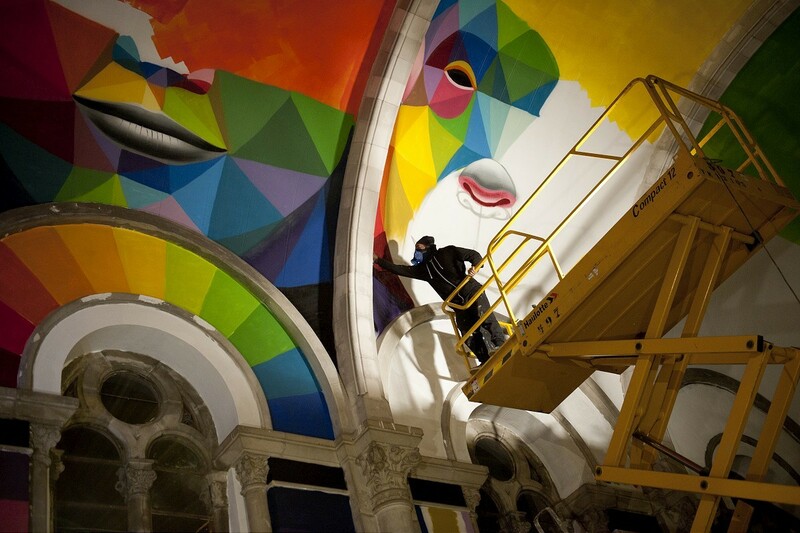 Few years later I ended up with an Internet based job. 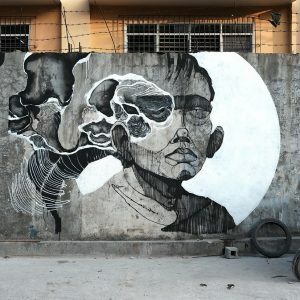 Too much online time on my hands resulted in getting involved in art related forums, and finally writing for various art websites.